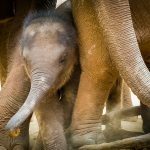 Each year for World Elephant Day we put a lot of our elephant conservation attention toward the ivory poaching crisis threatening African elephants, and the tourism and captivity issues that the endangered Asian elephants face. Yet the larger conservation challenge of habitat loss for both African and Asian elephants is looming. Our increasing encroachment on elephant habitat throughout Africa and Asia is putting elephants at greater risk, resulting in human-elephant conflict issues, and the demise of elephant populations and the ecosystems that they, as a keystone species, maintain. 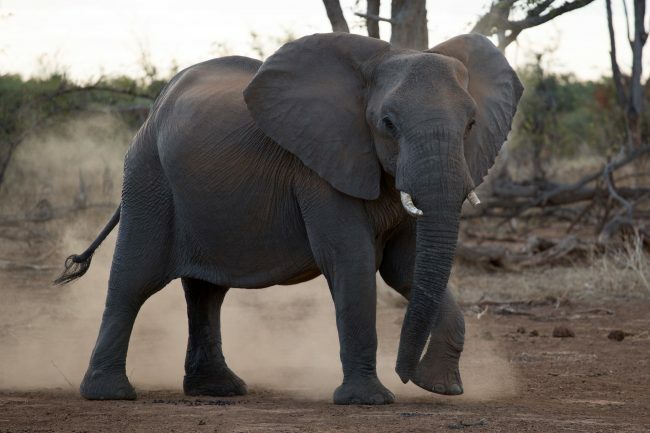 Over the course of several weeks between mid-July and early August 2018, forty-eight elephants were moved 1,700 km between the Venetia Limpopo Nature Reserve (VLNR), a conservation area owned by the De Beers Group in South Africa, to Mozambique’s Zinave National Park. The reason for this translocation was to address the issue of too many elephants living in the VLNR, which is 32,000 hectares and only has the carrying capacity for approximately sixty elephants. Yet, as of July 2018, VLNR had a population of approximately 270 elephants, which far exceeds what this region can support, and which negatively impacts its ecological health. By comparison, the 400,000 hectare Zinave National Park, which at the beginning of this year only had eight elephants, would benefit greatly with more elephants to help replenish its ecosystem. As Bernard van Lente, Peace Parks Foundation’s Project Manager in Zinave National Park explains, “The normal processes that elephants drive – recycling vegetation, pushing over trees which creates different opportunities for insect life, hiding places for small animals – these processes driven by elephants are not taking place in Zinave. 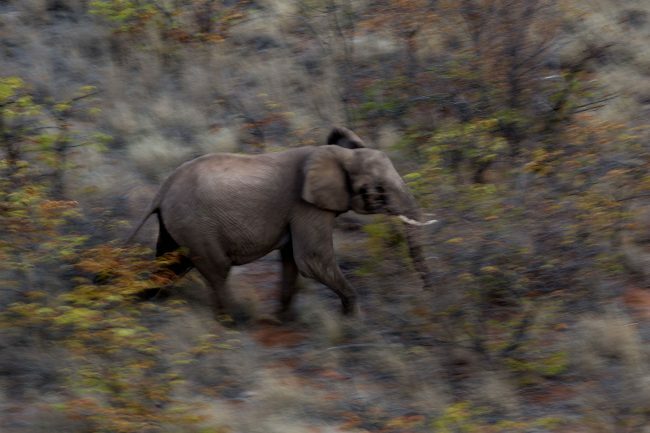 Disturbance stimulates diversity – we don’t have these processes without elephants”. 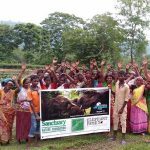 As a solution to these two conservation problems the Moving Giants project was undertaken with the intention to create a win-win for both the elephants and their habitats. This initiative is the first phase in the translocation process, with second phase plans to move the remaining 150 elephants next year. It is an ambitious project, and a positive step forward for elephant conservation. But it is not without risks. One of the world’s leading experts in elephant translocation strategies, Kester Vickery, Co-Founder of Conservation Solutions, was enlisted to oversee and strategize this logistically complex undertaking. The operation involved an array of technology ranging from helicopters, all-terrain vehicles, transport trucks, GPS monitoring, a series of tranquilizing medications for the elephants, and a team of veterinarians – all brought together to ensure the elephants’ safety remained a top priority. Yet even with all these safety measures in place, Kester says, “In short, it is risky for the elephants and the crew. A lot of this risk is mitigated by having an experienced crew doing the capture, having efficient recovery equipment to limit the time that the elephants are under the immobilisation procedure, and planning border crossings and logistical concerns before the operation starts. To put this in context you need to weigh up the translocation risks versus the outcome of other means of population control like culling”. 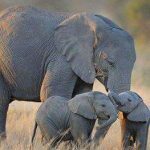 Ironically the over-population issue that elephants face in South Africa due to limited habitat puts them at risk on many fronts, whether it be culling, human-elephant conflict, trophy hunting, or poaching. In the first phase of the Moving Giants project fifty-two elephants, which made up seven breeding herds, were selected for translocation. Although four elephants unfortunately did not survive the translocation process, the forty-eight elephants that are now successfully living in Zinave have the opportunity to thrive in a new habitat that offers a better future for them and the new ecosystem they inhabit. As difficult as it is to justify the tragic loss of these four elephants, it is important to recognize the costs of action versus the costs of inaction, which are ultimately greater. Piet Oosthuizen, De Beers Group’s Senior Ecology Manager states that “People around the world need to recognize that Africa has unique challenges. 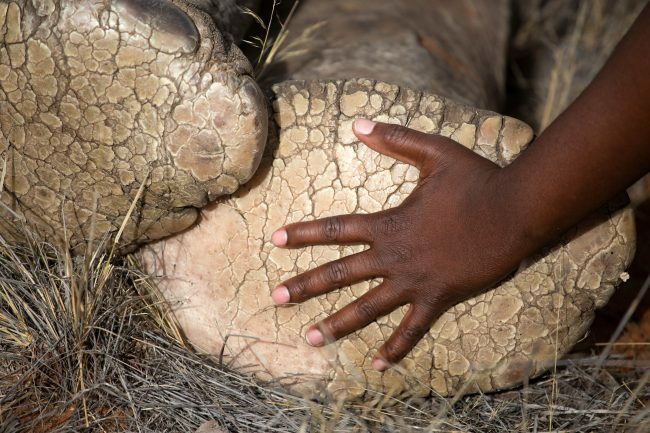 In South Africa, we are seriously challenged by excess elephant populations”. 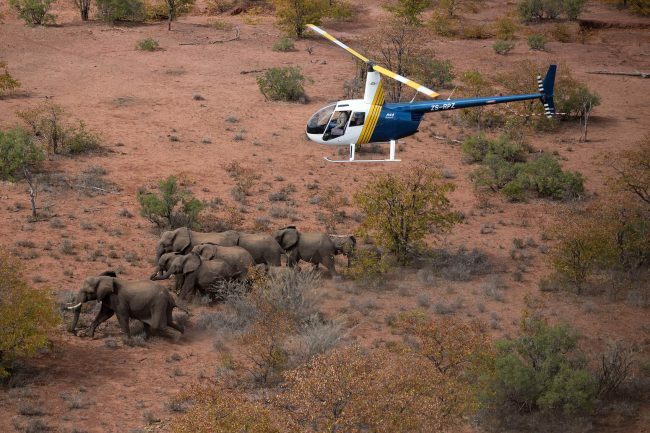 With not enough habitat in South Africa for these elephants to live in, contraception vaccines are darted into the elephants from helicopters as a method of birth control. The Moving Giants project creates a new opportunity for elephants that would otherwise be subjected to contraception. Now they can continue their natural reproductive process that will ensure growth in elephant populations in the African countries where their numbers are declining”. The question of how and if the elephants will be protected from poachers in Zinave is addressed by the well-established anti-poaching squad of over fifty trained rangers that operates within its 400,000 hectare boundaries. Zinave is co-managed through a formal agreement between Mozambique’s National Administration for Conservation Areas and Peace Parks Foundation. Peace Park Foundation will carry out ongoing monitoring of the elephant’s health and numbers and ensure that they remain protected. The Zinave National Park has reportedly not had any cases of elephant poaching for more than three years. 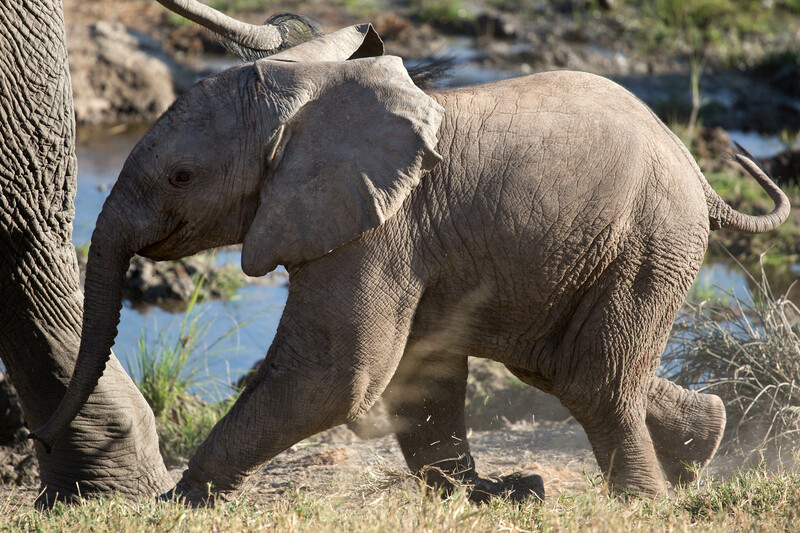 To provide additional anti-poaching support, the De Beers Group is providing US$500,000 over the next five years to Peace Park Foundation for support to Zinave and other areas in Mozambique where the elephants will be translocated in the second phase of the Moving Giants project. Large corporations such as De Beers that have had a negative environmental footprint due to their mining operations are in the position to step up responsibly and reciprocate with funds and positive action to help solve conservation problems. More corporations would do well to follow suit with similar conservation commitments to protect habitat and ensure a future for elephants in Africa. To learn more about the Moving Giants translocation programme and follow its progress through articles, social media and its upcoming web series, please visit MovingGiants.org.